A group of students participate in a reading lesson. The number of Idaho kids living in poverty has risen to 21 percent, that's a 3 percent increase since 2005. That means at least 87,000 Idaho children were living in poverty in 2012. 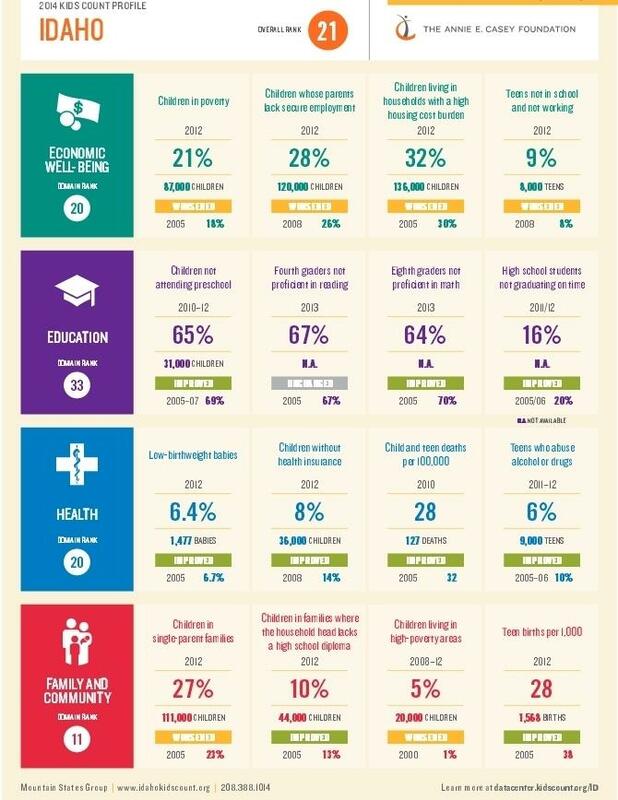 The poverty statistic is just one of the findings in the annual Kids Count report from the Annie E. Casey Foundation. The Kids Count report ranks states in four categories of child well-being: economic, education, health and family and community. Ranking 21st among states, Idaho does best in family and community, because of things like a low teen birth rate, and a relatively small number of children living in single-parent households. Idaho showed improvement in all measures under the health category, ranking 20th among states. Idaho's standing worsened in all measures under economic well-being, including children in poverty, and ranked 20th in this category. 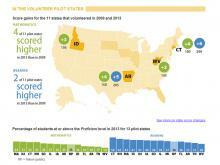 Idaho’s lowest ranking came in education, dropping from 29th in 2013 to 33rd. Kathleen Budge teaches education at Boise State University and studies the impact of poverty on schools. Budge says she can’t say definitively that there’s a link between Idaho’s increasing child poverty rate and decreasing education ranking. Things like increased stress and poor nutrition, that often come with poverty, can make learning difficult. Still, Idaho is making improvements in some of the report’s education measures. Those include 8th grade math scores and high school graduation rates. Idaho’s sliding national standing comes largely because other states are making bigger improvements. For example, 67 percent of Idaho 4th graders were not proficient at reading in 2013. That percentage hasn't changed in more than a decade. But Idaho's standing among states has dropped from 19th in 2005 to 33rd in 2013. Another reason Idaho fares poorly in education, in the eyes of the foundation, is preschool. Two-thirds of Idaho kids don’t go to preschool, one of the lowest rates in the country. Budge says if more Idaho kids had access to early childhood education, the state would probably do better in performance measures. While most states have public preschool, Idaho lawmakers have rejected it several times. Less than 30 percent of Idaho kids get developmental screenings recommended by doctors. That’s according to a report out this week from the Annie E. Casey Foundation. The American Academy of Pediatrics recommends kids get screened for developmental problems at nine-months-old, 18-to-24 months and at 30 months. Perry Brown, pediatric education director at the Family Medicine Residency of Idaho says those screenings are questionnaires doctors give to parents. Brown leafs through a file and pulls one out for parents of a 24-month-old. The federal government just released its latest national test scores for high school seniors and it’s not good news. A significant number of graduates are below standard for math and reading. Advocates for state-supported preschool hope to tackle the issue amid increased interest in changing Idaho's public education system. One Democratic lawmaker will be pushing a $1.4 million pilot program during the 2014 Legislature. 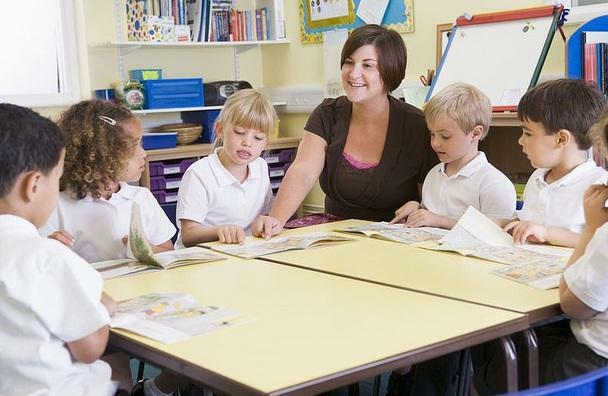 And the Idaho Statesman reports Beth Oppenheimer, of Idaho Association for the Education of Young Children, believes more people are recognizing that taxpayer-financed preschool education programs are sorely missing from the state's education offerings.